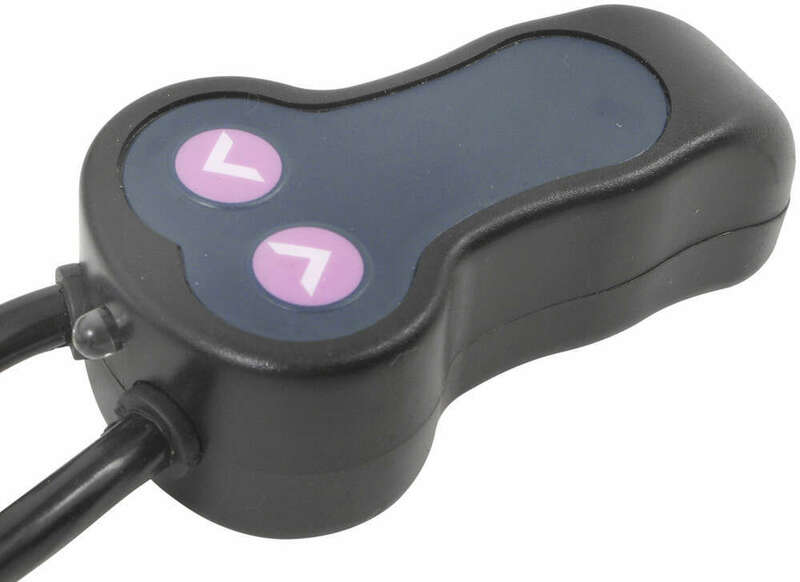 Easily raise your car with the push of a button. 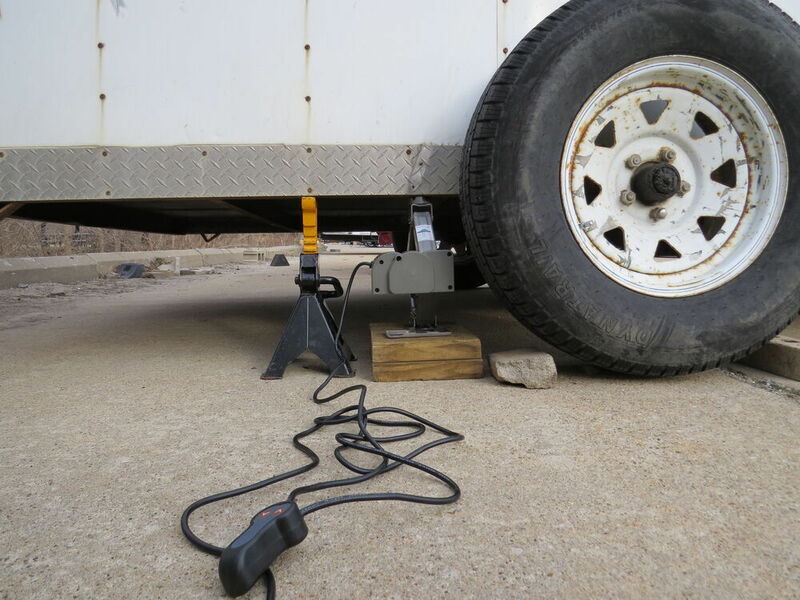 This electric jack includes a 12' cord that plugs into your vehicle's 12-volt DC outlet so that you can even use it on the side of the road. Lifts 5" to 14". Lowest Prices for the best tools from Buffalo Tools. 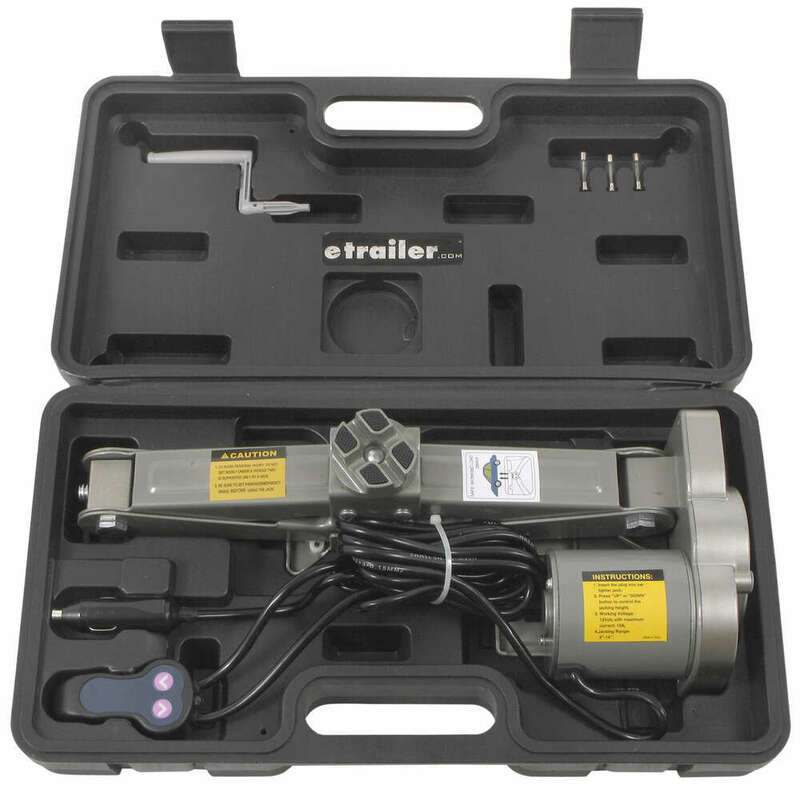 Buffalo Tools Electric Car Jack - 5" to 14" Lift - 2,000 lbs part number BTEJ212 can be ordered online at etrailer.com or call 800-298-8924 for expert service. 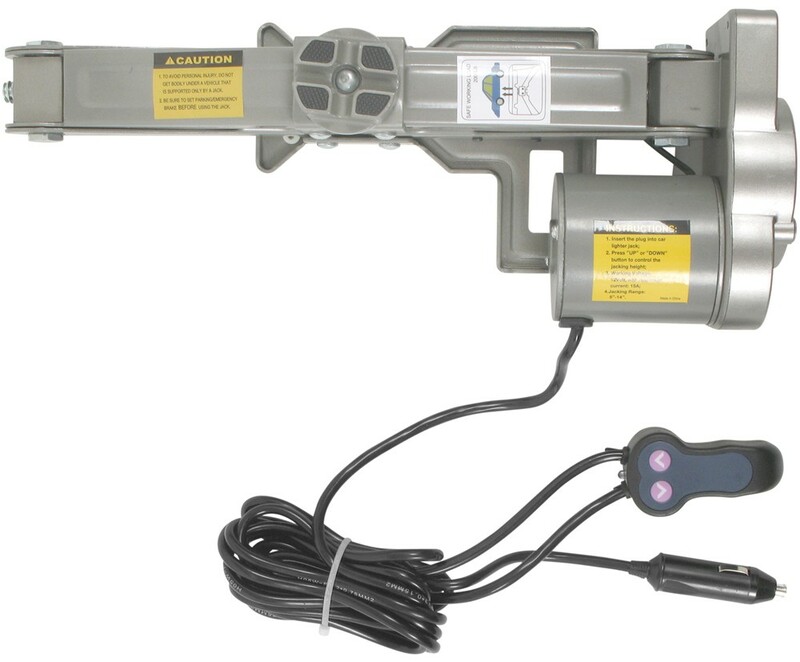 Lifting height: 5" - 14"
Today, we'll be having a look at the Buffalo Tools Electric Car Jack, part number BTEJ212. All right, here's what our jack looks like when it's in use. 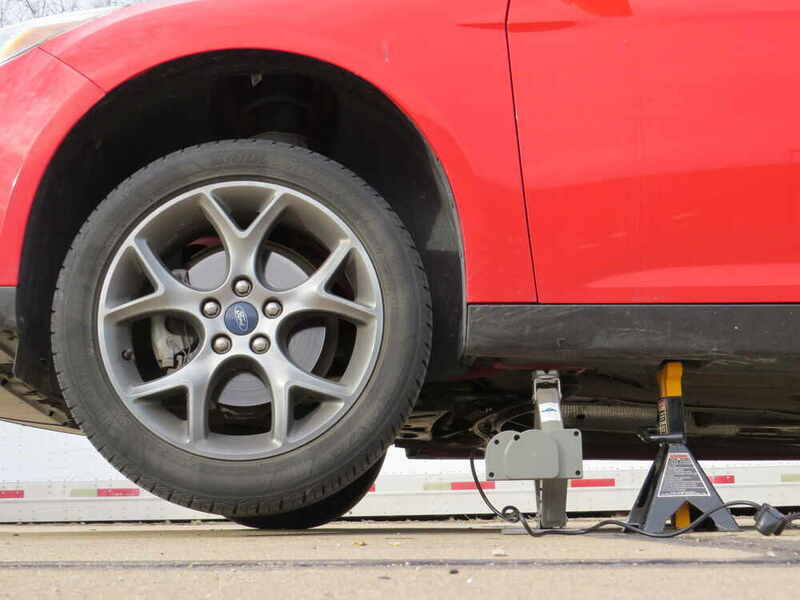 With one simple push of a button, you can safely lift your vehicle anywhere between 5" and 14" off the ground. 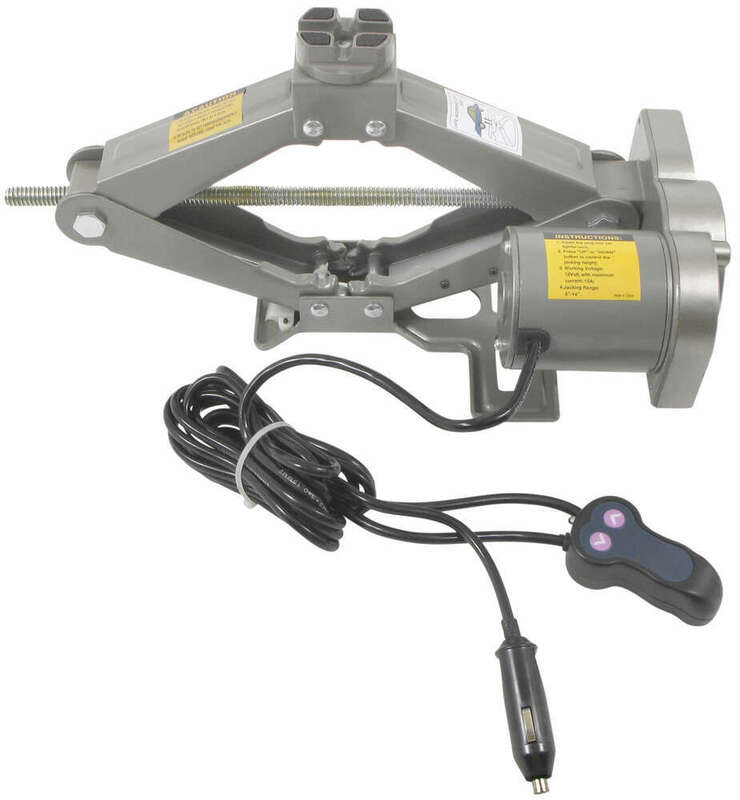 The jack has a safe working load limit of 2,000 pounds. It's easy to use, with the two-button controller, with a nice LED light here to show that our jack has power going to it. Our controller has a 3' long cord, which goes to the jack unit itself, and then our power cord, which goes to the 12-volt outlet inside our vehicle, is 12' long. 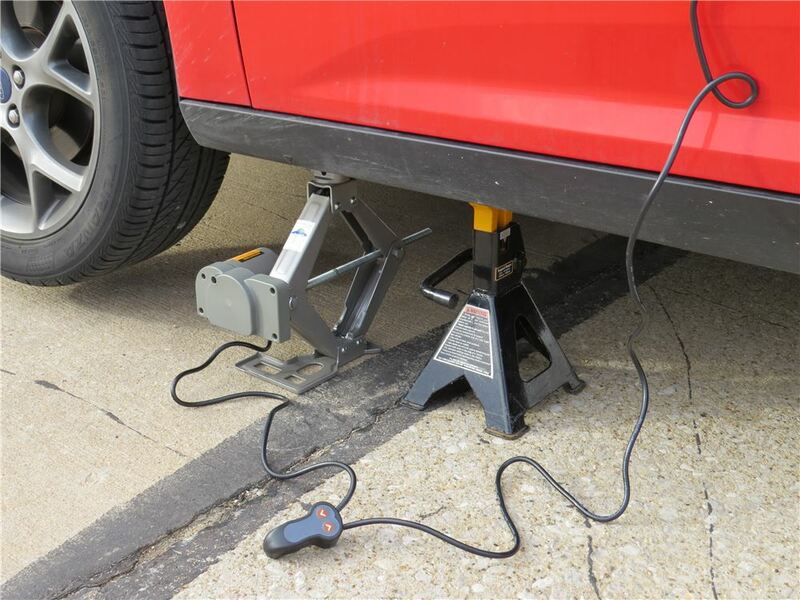 Now, one nice feature about this jack, compared to other electric jacks on the market, it does have a manual override, in case your vehicle's battery we're to die, and you want to be able to lower the jack back down, and your car will be stuck on it. 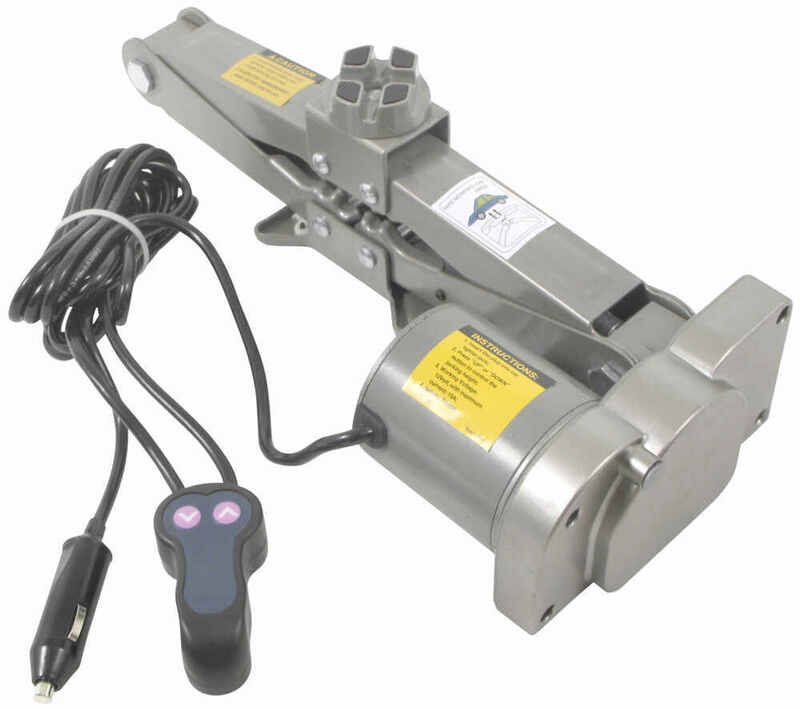 It has a simple handle which slides into a hole on the side of the motor, and allows you to crank the jack manually in order to raise it or lower it. 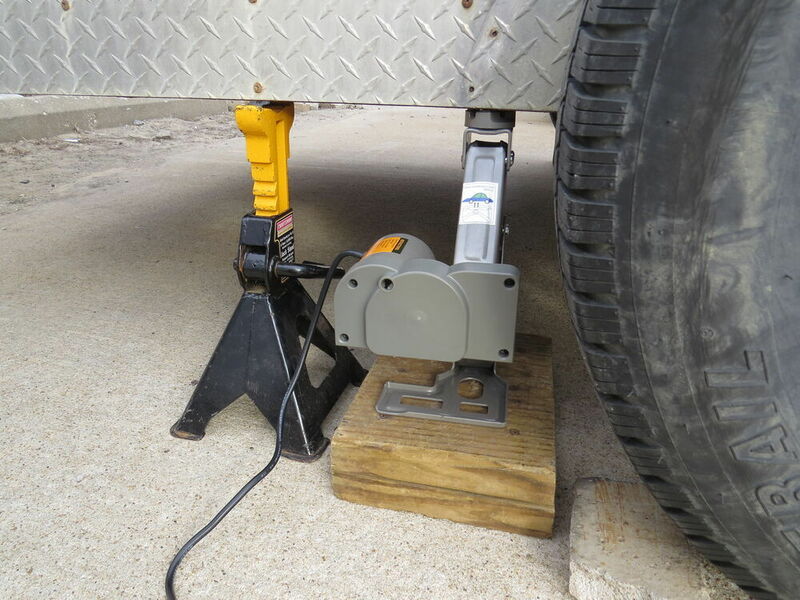 The jack will also work nicely with trailers. Not only does our jack work great for cars and trailers, but it'll also work good for small SUVs and pickup trucks, too, because you're not lifting the entire weight of the vehicle at once. You're just lifting one corner, which is well within the limits of the 2,000-pound capacity of our jack. 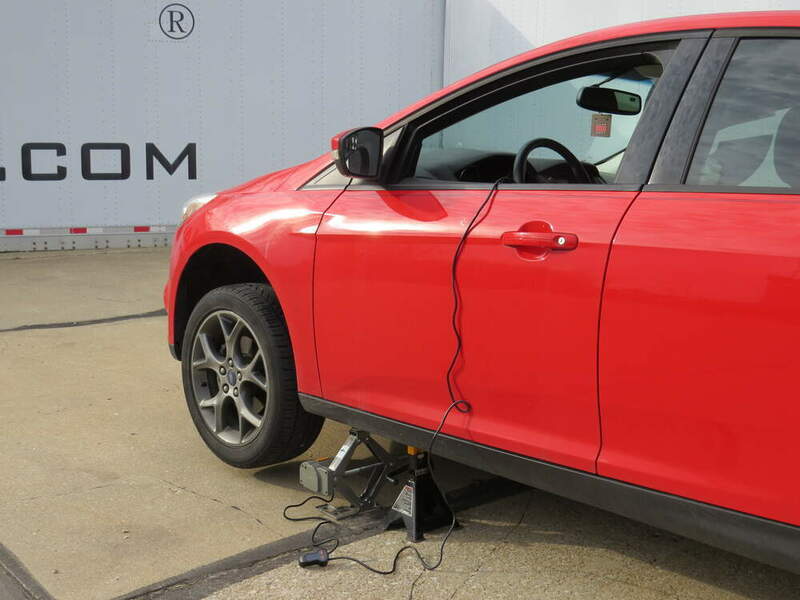 All right, now that we've gone over some features of our jack, we'll show you how to safely use it on a car so you can change your flat tire or whatever you need to do. First thing we need to do is to plug it into our 12-volt outlet in our vehicle. Now, before we get started lifting our car up, we want to make sure our parking brake is set. I've already done that. 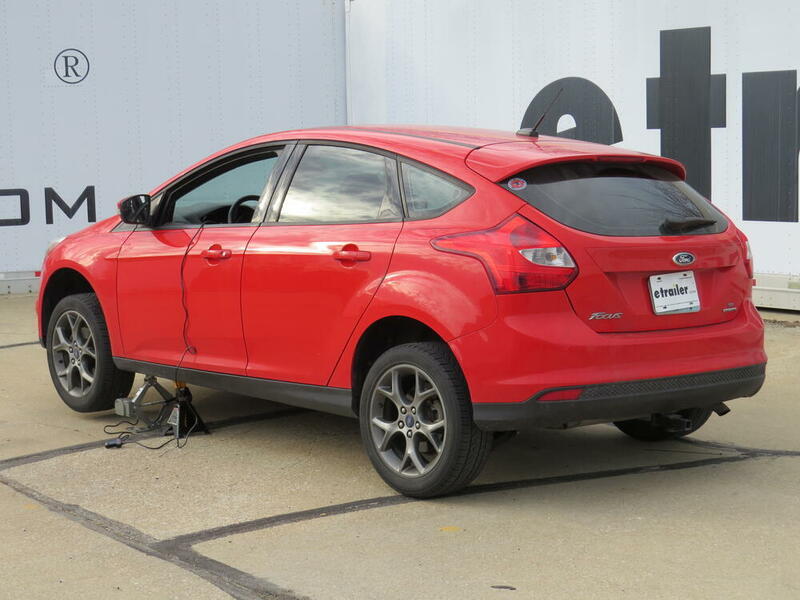 Now we want to identify our jack point so we can safely lift our vehicle. On most vehicles, you'll be able to identify your jack points noted by a triangle, so we'll slide our jack in position underneath that and raise it up until it touches. All right, the remote's very simple to use. The up arrow makes the jack go up to raise the vehicle or trailer, and the down arrow makes it go down. We'll want to make sure our pinch weld goes into the slot in our jack. The pinch weld is the ridge where your unibody is welded together. That's the strong part of the vehicle where it's safe to jack. Okay, with the jack in position on the pinch weld and touching it, we can now safely raise it the rest of the way. Once we have it high enough, we'll place the jack stand in position and lower down on the jack stand. That way, it'll be safe for us to work on the vehicle. With our car now safely supported on the jack stand, it's now safe for us to remove our tire and put on our spare tire, or do whatever necessary repair we need to do. All right, here's how your jack will come to you. It will ship in a nice blow-molded case which will store the jack itself and all the accessories it comes with. We have two latches which snap shut nice and tight. You open it up, you'll find the jack itself, your 12-volt power cord, and your hand control here. Also included, we'll find an emergency handle here, also. We have three replacement fuses, in case one of our fuses we're to blow in our unit; and that completes our look at the Buffalo Tools Electric Car Jack, part number BTEJ212. Order: RelevanceNewestRating - High to LowRating - Low to High Easily raise your car with the push of a button. 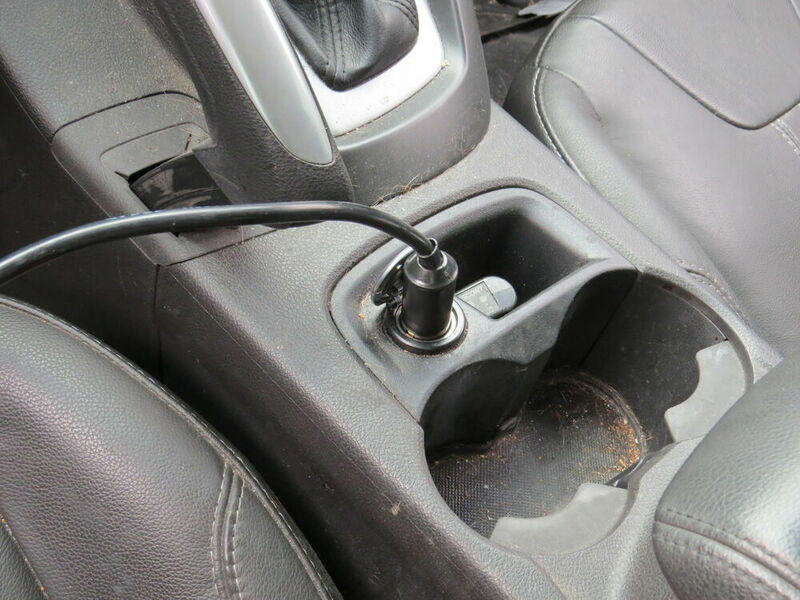 This electric jack includes a 12' cord that plugs into your vehicle's 12-volt DC outlet so that you can even use it on the side of the road. Lifts 5" to 14". Sorry to report that this jack is a dangerous disaster looking for a place to happen. On the third use, swapping snow/summer tires on our Toyota Sienna minivan, the jack collapsed about half-way up. Had to use a second jack to get the vehicle off of the electric scissor jack. The vehicle was properly wheel-chocked & brake set. Mode of failure: the toothed gear segments which keep the two sides of the jack coordinated slipped apart, so the thing tipped sideways. It was not possible to retract the previously horizontal screw. I would not buy or sell this product. The Buffalo Tools Electric Car Jack, item # BTEJ212, is designed to run on the cigarette lighter circuit in the vehicle. I went out to my truck and checked that circuit and it is a 20 amp circuit. That means you will need at least a 20 amp ac to dc converter for proper function. 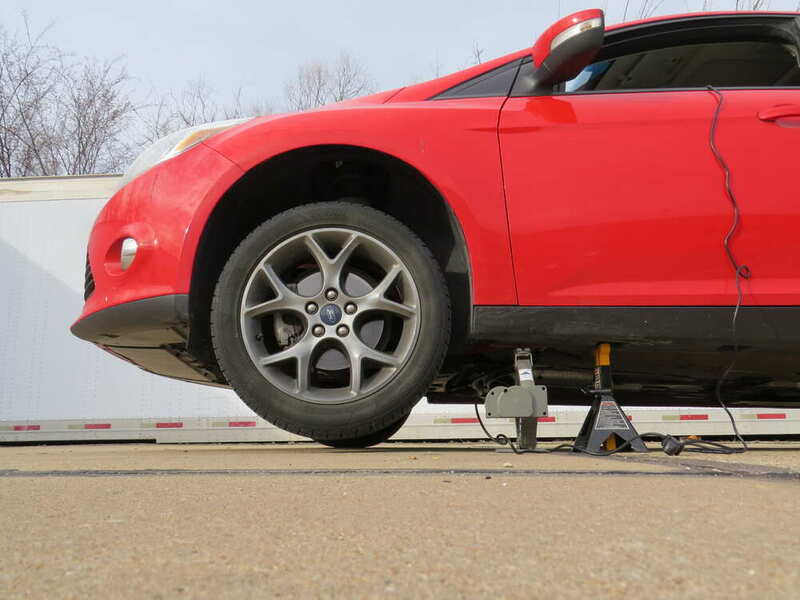 Yes, although your Chevy Equinox weighs more than 2,000 lbs (the capacity for the jack) the Buffalo Tools Electric Car Jack part # BTEJ212 that you referenced would not be lifting the entire weight of your vehicle, only at most half so it should work fine for you. 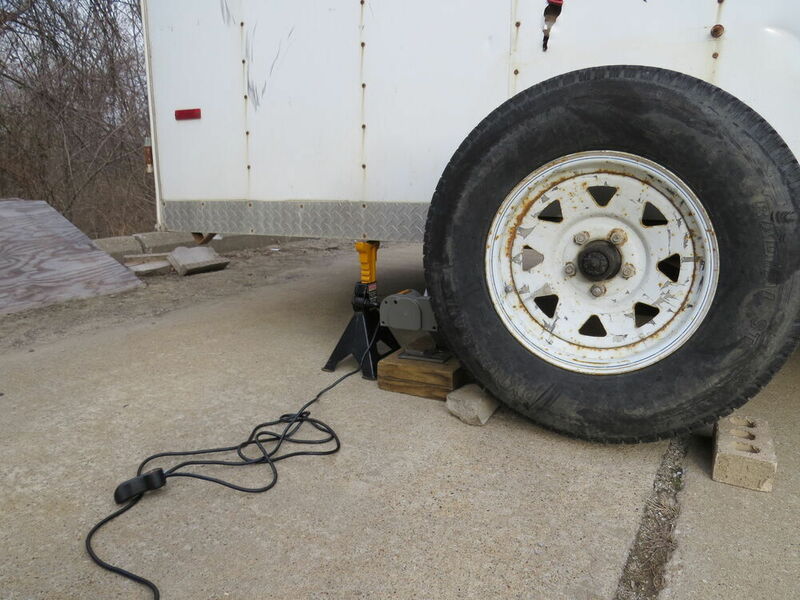 I went out into our warehouse and measured the length of the Buffalo Tools Electric Car Jack part # BTEJ212 when it was in its lowest position and it measures 15-1/2 inches.